Home / FAQ / Why the "two hours a day" channels on Freeview? Why the "two hours a day" channels on Freeview? FAQ | A series of answers to some of our often asked questions. Phil comes home. He realises he's missed the highlights of today's cycling event on ITV4. He checks his programme guide to see if he can get ITV4+1. He selects channel 62 and encounters a blank screen, which then loads a slate of text telling him the channel isn't available until 4am in the morning. Sandra arrives back after a late shift at the shop she works at. Collapsing on the sofa hoping for a bit of escapism on the TV, she realises she's just missed this week's episode of TOWIE. She doesn't really want to watch it on a small mobile or tablet screen, but she gets her mobile out and tweets her friends "Gutted. Just missed TOWIE". Her friends tweet back saying "why not watch it on ITVBe+1?". She replies "Is ITVBe+1 on Freeview?". Before she knows it Freeview Advice tweets back saying "ITVBe+1 is on channel 72". Excitedly, she switches over, only to be advised on screen that programmes start at 4am. The on-screen guide tells her the channel is only on-air until 6am. So why do broadcasters have services on Freeview that are only available for two hours a day, generally at times when viewers won't be around to watch, and then often only showing teleshopping for the entire duration? The answer is that these channels hold a place on the Freeview channel list (EPG) that can be exploited in the future, should their parent broadcaster either secure sufficient bandwidth to run the channel full time or want to launch a new service on Freeview, without it launching right at the bottom of the channel list where no-one can find it. Freeview bandwidth is a limited, and more costly resource, than for example satellite. Therefore, some broadcasters like to be able to get a foot on Freeview by broadcasting limited hours, before they expand in the future, as and when they secure bandwidth, and providing there's been enough interest in their Freeview service. Food Network and Travel Channel are both examples of channels that started their Freeview life as a reduced hours service, before going 24/7 - albeit both channels originally broadcast their reduced hours during prime-time, and were on air for more than just 2 hours, a notable difference to other part time channels. UKTV's timeshift channel Dave Ja Vu is another such channel. It was used to secure bandwidth for sister channel Drama, dropping back to part-time hours after Drama's launch before going full time again when additional bandwidth was secured. We can now add Viacom's VIVA channel to the ranks of the two hours a day channels. 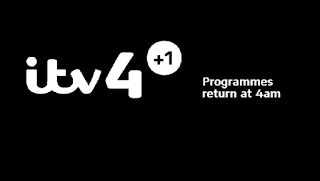 Thanks to Viacom buying Channel 5, VIVA is now part of the same family of channels as 5*, 5USA and 5+24. Freeview channel numbering rules allow "relatives" of channels to leap-frog other channels when a channel number becomes available. This policy helps channel families to group together on Freeview where possible. VIVA being related to Channel 5+24 meant it could hop to channel 58 from channel 74. With the move to channel 58, VIVA's Freeview coverage and availability has reduced, although the bandwidth to restore the station to 24/7 status is there. However, by keeping VIVA on-air, even for just two hours a day since April, means Viacom has secured a Freeview channel number that isn't right at the bottom of the list. If there are any further channel changes on Freeview, it might be allowed to move VIVA to an even higher ranking number, which then could be used in the future to either reinstate VIVA or launch a completely new channel, without it having to launch right down at the bottom of the channel list, where fewer people will discover it. The same applies to the ITV channels on 62 and 72. Their availability on Freeview is less about Phil and Sandra catching up on their favourite TV shows, but more about ITV building a strategic portfolio of Freeview channel numbers that can be exploited in their favour in the future and enabling Freeview to market "60+ channels" on their platform. So next time you come across a channel on Freeview that's only available for two hours a day during off-peak hours, or if that channel suddenly moves to another number without warning: remember it's probably not for your benefit. You're only a viewer, after all. Sky is much stricter - used to be 6 hours of "non-repeating" content in a 24 hour period but looks like that has now changed to 3 hours of non-repeating content between 7-10pm (3-6pm for kids channels). If anything I'd say the limited space on Freeview should mean they should be tougher, not more lenient. I tend to accidentally see Motors TV on 71 due to surfing in the wrong direction from 101 (I've deleted most of the 2 hour channels and religious channels) more than I see Channel 5. I rarely end up at the top end of the SD channels.